What’s the Best Way to See Banff National Park and the Canadian Rockies? The mountains soar thousands of meters in the air above Alberta, towering above verdant forests and meadows strewn with wildflowers. Through it all thread crystal clear rivers and streams, fed by snow-melt and glaciers. These empty into the pristine mountain lakes of Western Canada. What better way to experience the stunning, awe-inspiring natural beauty of the Canadian Rockies and Banff National Park than from the air? Local sightseeing tours are available by both helicopter and airplane. For those that aren’t physically capable of scaling mountains or trekking for several days its perhaps one of the best ways to enjoy the unspoiled beauty of Western Canada. 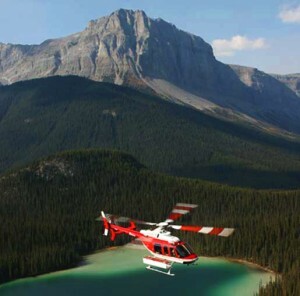 There are a number of airplane and helicopter tour operators in and around Banff National Park, but we can recommend Banff Travel to get you up in the air. 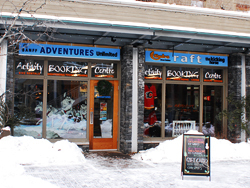 Click here for more information on Banff activities, boutique hotels, resorts and other accommodations.